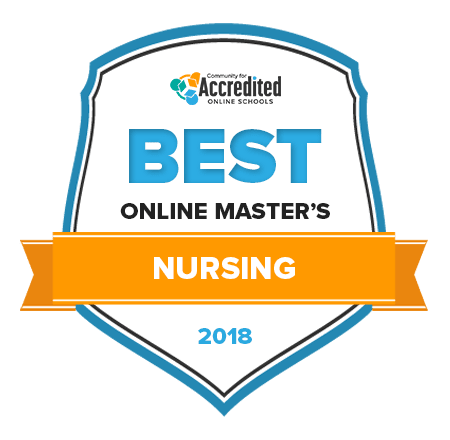 How Can I Choose a Quality Online Master’s in Nursing Program? Nursing is one the largest, fastest growing and critically important professions in healthcare today. Nearly every nursing-related career is projected to grow by double digits in the coming decade. And, with an aging population and growing demand for health services, nurses are going to be at the forefront of medical care for years to come. By earning an online master’s in nursing, you can develop expertise in specialized areas of nursing and transition into advanced practice nursing positions or pursue administrative roles across healthcare settings. To develop this year’s rankings of the best online master’s in public health, we analyzed publicly available data from the U.S. Department of Education, the Integrated Postsecondary Education Data System, as well as information from each ranked institution’s academic programs. The Council on Education for Public Health accredits the graduate programs in public health found on this list, ensuring students receive a quality academic experience. The Master of Science in Nursing (MSN) program at Vanderbilt University School of Nursing (VUSN) offers several options for students with nursing and non-nursing undergraduate degrees to complete their master’s degrees in nursing. VUSN has an ASN to MSN program, and for those without a degree in nursing, an accelerated, PreSpecialty entry program is available, which provides the foundation courses seen in a BSN degree program. Online courses, part-time or full-time enrollment and clinical placements close to home are options for students needing maximum flexibility. Also available are Doctor of Nursing Practice degree programs and dual MSN degrees programs in partnership with Vanderbilt Divinity school. For students holding a current RN license, The College of Nursing at the University of Iowa offers a Master of Science in Nursing-Clinical Nurse Leader (CNL) degree. This program is mostly online, with one campus visit required prior to the start of the program to meet with advisors, faculty and cohorts, and once during the last semester to present a capstone project. The curriculum also contains practicum and clinical field work in addition to online courses. Certification isn't required for the CNL professional, but the exam is offered on-campus during the last semester of the program for students planning to obtain CNL certification. Students planning to pursue a master’s degree in nursing through the College of Nursing and Health Professions at Drexel University have a large selection of degree options. Students can earn an MSN degree in advanced role nursing with concentrations in clinical nurse leader, clinical trials research, nursing education, nursing innovation, leadership in health and systems management. Also offered are MSN degrees in nurse practitioner concentrations and nurse anesthesia, along with an RN to MSN bridge program. MSN graduates can continue their work in the field of nursing and are also prepared for further education, such as a DNP or PhD in nursing through Drexel. All of the many MSN programs at the University of Michigan-Ann Arbor, as well as the school's post-baccalaureate DNP program, follow the advanced clinical path format. There are several specializations available in both the midwifery and acute, primary and family care areas of focus. No matter which program they choose, students will be immersed in coursework that emphasizes the judgment, skills and knowledge required to thrive in a variety of care settings. Advisors will work closely with students to help them choose classes that they need to graduate on time, and instruction is delivered by faculty with real-world experience. Bachelor-degree holders without any previous nursing education can enroll in the University of Minnesota’s Master of Nursing program. The program is built to encompass both undergraduate and graduate levels of nursing sciences, providing fundamental and advanced learning in a grueling 16-month program. The MN program requires a full-time commitment and classes are held weekly on campus. Additionally, students must complete 500 practicum hours off-campus at one of UM’s 250 partnered health centers. Due to the program’s demanding schedule, working while attending school is discouraged. Eighteen credits completed at the graduate level are applicable toward UM’s Doctor in Nursing Practice program. The University of Toledo’s College of Nursing has graduate programs available for established RNs to specialize and advance their education and a program for undergraduate degree students to become RNs. While the Master of Science in Nursing programs differentiate depending on their focuses, most require two years for completion. The family and pediatric nurse practitioner, as well as the nurse educator, programs offer the most flexibility for students, with the option to study part or full-time in a blended format. UT has six MSN programs available, with an average requirement of 55 credit hours needed for graduation. The Loyola University Chicago has graduate options available in nursing to match the educational background of a broad number of students. Students interested in achieving their MSN through a nurse practitioner or clinical nurse specialist program must have an Illinois RN license and have logged a minimum of 2,000 relevant nursing hours before admittance. These programs are offered in a combination of online and on-campus courses. Two specializations are designed exclusively for web classes. For RNs with an AA degree, the accelerated RN-MSN program allows students to advance in their careers quickly and requires the completion of a professional portfolio for admittance. Graduate nursing programs at NYU begin three times per year and prepare students for futures working in multifaceted aspects of health care, from administration and education to careers as specialized nurse practitioners. Currently nine master’s degree programs are available with diversified major options. All programs feature a 12-credit nursing core, supported by research and real-life application practicums. Total clinical hours vary based upon the program. Focuses in nursing education and administration require at least 300 hours while nurse practitioner programs require double that amount. NYU also offers graduate “specialty sequences” in addiction disorders, holistic nursing, palliative care and herbs and supplements. The master of science in nursing from the University of Cincinnati-Main Campus comes with the option of a variety of specialties, which vary depending on whether the student wants to pursue the degree on site or online. All programs combine evidence-based practice, scholarship and research from nursing and related fields in pursuit of a holistic care philosophy. All programs stress quality and safety in every aspect of patient care. Students will learn to design and maintain a variety of services for both individuals and communities, while understanding sensitive cultural and historical nuances. University of North Carolina at Chapel Hill was the first school in the state to offer a nursing master’s degree in 1955. The MSN program allows students to choose among healthcare systems and advanced practice specialties. There are four nurse-practitioner tracks and five healthcare system tracks available to entering MSN students. Admission for RNs into the program requires their completion of 51 credits of undergraduate and pre-nursing coursework. The RN to MSN program requires entering students to complete three prerequisite courses in public health and nursing practice prior to undertaking the graduate curriculum. After completing the prerequisites, students are awarded 35 advanced-placement credits by UNC. The online master’s in nursing blend the study of nursing practice business and healthcare administration with applied skill development in clinical nursing. Nursing is an expansive academic field and professional arena that allows you to specialize your education program in an area of nursing practice. Examples include nursing education, family practice, adult gerontology and nursing administration. What Common Courses are Offered in a Master’s in Nursing Program? Students examine the core competencies of primary care nursing professionals and teach them about conducting health assessment with cultural sensitivity to deliver a better patient experience. This class explores the organizational structure of the U.S. healthcare system, health policy development and their relationship to nursing practice. An advanced study of the physiology of organ systems, this class provides students with baseline knowledge that is used for clinical diagnosis. This class focuses on nursing systems theory – including organizational and management – and how those theories are applied in administrative leadership positions. In this course, students study different categories of drugs, their contraindications and interactions, which prepares them for proper pharmacology practices as advanced nurses. What Specializations are Available in a Master’s in Nursing Program? Nursing is a broad, yet diverse healthcare field. When considering enrolling in an MSN program, prospective students should consider the area of nursing (e.g. pediatric, mental health) and the level of nursing (e.g. registered nurse, advanced practice registered nurse) they want to practice. MSN specialty options vary by nursing school, institution and state. The list below is an overview of common academic concentrations in nursing programs. The nurse educator track is designed for individuals to assume faculty roles in higher education or educators in clinical, community or other healthcare settings. This concentration provides students with foundational knowledge of teaching strategies in both clinical practice and academic environments, preparing them to train the next generation of nurses. Coursework covers areas such as nursing curriculum development, evidence-based teaching and leadership in nursing practice. The nurse informatics track is for nurses interested in nursing research, improving healthcare services delivery, and developing effective clinical systems. This academic specialty teaches students how to translate healthcare data and information into actionable changes as a member of interdisciplinary healthcare teams. Common classes include managing patient care data sets, database development and healthcare information workflow. The nursing administration track is intended for registered nurses preparing for management and leadership positions across healthcare organizations. In this concentration, students develop applicable skills in budgeting, human resources management, patient care assessment, staff evaluation and more. Coursework covers areas such as financial management, operational planning and management, advocacy and ethics and healthcare systems management. The family nurse practitioner track is for registered nurses who wish to practice nursing as an Advanced Practice Registered Nurse. These concentrations build upon the nurse’s existing knowledge in patient assessment, enhance their hands-on clinical skills and prepare them for national certification examinations as a family nurse practitioner. Coursework covers areas such as advanced physical assessment, advanced pharmacology and pathophysiology, and decision-making practices. What Exams or Projects Should I Expect? In an online MSN program, you can expect to complete clinical immersion coursework via a local placement in a healthcare setting (e.g. hospital, community health clinic). Practicum hours vary by program and area of specialization. You can also expect to complete a capstone class that ask you to demonstrate your gasp of classroom-based instruction through multiple methods – such as clinical practice or a research project. When researching potential nursing schools and degree programs, it is important to understand that no two programs are alike. Your decision-making process should include a review of a program’s accreditation, the overall quality of the program, nursing faculty, and clinical training requirements. Accreditation ensures the nursing program meets recognized quality standards and also has a qualified clinical training component. The two central accrediting bodies for nursing programs are the Commission on Collegiate Nursing Education (CCNE) and the Accreditation Commission for Education in Nursing (ACEN). Students should ensure they attend an accredited nursing program as it is required not only by state nursing licensing agencies, but to sit for RN examinations (e.g. NCLEX-RN). Can the program be completed entirely online or does it require on-campus visits? Can clinical practicums be completed in your local area with a partner hospital, clinic or medical provider? Having to travel out-of-state could be a major red flag when selecting a program, both for convenience and cost. A third consideration is program quality. Examine the graduation rates and testing score. Does the program graduate a significant number of students and do those students have successful testing scores with NCLEX or nursing certification examinations? The lack of poor graduation rates and low test scores and could each be a potential warning sign. The master of science in nursing opens numerous career avenues for graduates in both registered nursing, advanced practice nursing, research and education. For many, becoming a registered nurse via an online BSN-to-MSN route is the primary goal, but for practicing nurses seeking advanced career opportunities an MSN with specialty training (e.g. family nurse practitioner) could be the right choice. Below is a list of potential career choices for individuals that complete a graduate degree in nursing. Registered nurses coordinate and deliver hands-on patient care across healthcare settings, such as hospitals and community clinics. Nurse practitioners are advanced practice nurses that work under the supervision of a practicing physician, but can independently treat patients and write prescriptions. Health services administrators oversee individual health departments (e.g. nursing) and are responsible for organizational management, budgeting and finance, staffing and patient safety. What’s the Expected Job Outlook for Nursing Careers? Nursing is one of the largest and fastest growing professions in the country, according to the Bureau of Labor Statistics (BLS). Data from the BLS reveals that jobs for nurses and nurse practitioners are projected to increase considerably between 2016 and 2026. While registered nurses can expect 15 percent national job growth, nurse practitioners openings are projected to grow at double that rate – 31 percent. These figures are spurred by declining primary care numbers in physicians and staggering demand for healthcare services by an aging population. The BLS notes as primary care models shift, nurse practitioners will be increasing demand in hospitals, private physician offices, health clinics and ambulatory care settings. There are numerous nursing associations and organizations dedicated to advancing the practice of nursing. Whether you are a current RN seeking to advance their career or looking to become a registered nurse, these associations can help through scholarships, mentoring opportunities, conferences and more. The Academy publishes the peer-reviewed journal, Nursing Outlook, advocates for nursing policy in advance care planning, children and families and other areas, hosts expert panels across nursing specialties and more. A nonprofit organization for certified registered nurses, the ABNS hosts annual conferences, provides networking opportunities and gives awards in certification advocacy and contributions to nursing certification. The central membership organization for registered nurses, the ANA represents more than 4 million registered nurses across the United States and advocates on policy and healthcare issues that impact registered nurses. This association focuses on professional development for practicing nurses within specialty nursing fields through professional development certification courses, training webinars and educational partnerships. The largest association for psychiatric-mental health nurses, the APNA holds two yearly national conferences, provides continuing education programs and publishes the peer-reviewed Journal of the American Psychiatric Nurses Association. One of the most important factors to consider when deciding whether or not to enroll in an MSN or nurse practitioner graduate degree program is cost. Unlike many other online programs, the MSN requires a hands-on practicum, which means you could face additional fees and program costs. However, there are several options to help you defray the cost of your graduate nursing education. Nursing students can secure loans from the U.S. Department of Education. Before taking out a loan, you should fill out the Free Application for Federal Student Aid to see if you are eligible for any types of financial aid. Most nursing departments and schools of nursing provide scholarships for graduate students completing an MSN degree. For a single example, Chamberlain University offers the Clinical Educator Scholarship for graduate students in its MSN – Educator specialty track. There are associations that provide scholarship programs for current and prospective nurses. Requirements and eligibility vary by fund, but examples include the Nurses’ Float Scholarship from the Association of California Nurse Leaders and the Education Advancement Scholarships from the American Association of Nurse Practitioners. In addition to department-based scholarships, you may also qualify for university-wide scholarship funding. For example, the University of Southern California offers the Norming Topping Student Aid Fund. For nurse practitioners, the National Health Services Corps (NHSC) offers a loan repayment program. In exchange for loan repayments, you must commit to working full- or part-time clinical practice for two years in a designated service shortage area.